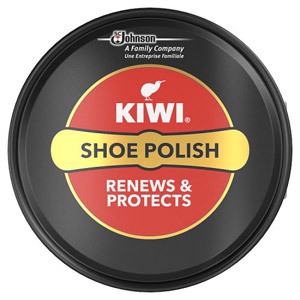 Restore white footwear to its natural brightness with Kiwi Whitener. 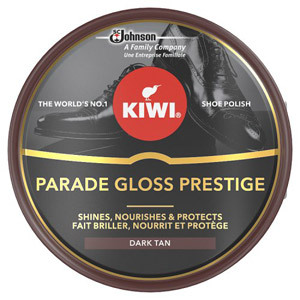 This specially formulated shoe polish is designed to restore whiteness to all leather, vinyl and canvas footwear. It has a long-lasting sponge on top, which offers a controlled dosage of polish to extend the life of your shoes. Best of all, it restores whiteness without leaving streaks or a chalky residue. To use, shake well before use and ensure any surface dirt has been removed from the shoe. Gently slide the sponge evenly across the shoe, allow to dry for a few minutes and then buff with a clean cloth. Not suitable for use on suede and nubuck shoes. Most popular with customers in France, UK - England, Italy and Greece, but you can buy Kiwi Whitener for delivery worldwide. 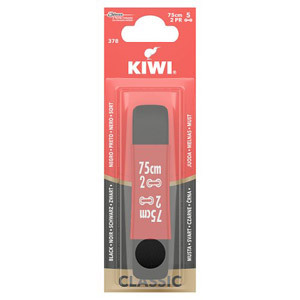 One of our Kiwi branded products. 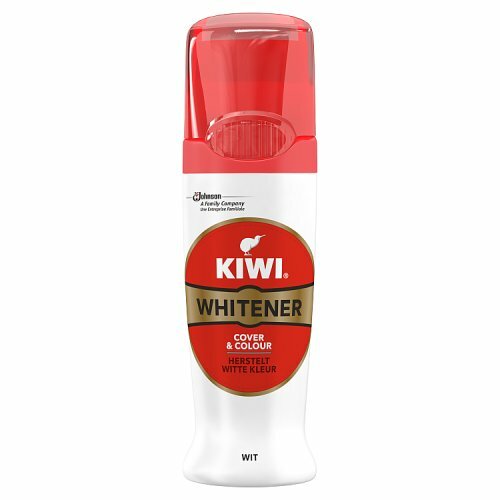 Never heard of Kiwi Whitener before but was recommended this product by a UK resident. I thought this was like a vanish cleaner, but once I put some of this on my daughters' white converse it was like white paint covering the stains. I thought it was difficult to put this on even, but where I did use it, it really worked. If you manage to get some on any text, then you have to wipe it off straight away before it stains. Would you like to write a review for Kiwi Whitener?